Why I read this now: The only ebook available NOW at the library. WHAT’s it ABOUT: We have a mountain man (was his name Wes? I’ve already forgotten!) with his second wife who was a music teacher, from England or Scotland – her dad was in Scotland, I do remember that. We have the guy’s first wife who is in prison but before her story we meet the woman that she will be cellmates with and we learn how that all got set up. We find out that the guy is suffering from early onset Alzheimer’s. And we get the stories of all sorts of other people: Wes’ dad’s neighbor? Wes’ kids, and a friend of his eldest daughter’s, a sketch artist, a mountain neighbor. WHAT’s GOOD: The author can write and she can create a mood, a tension. I wanted to read and not stop! Had to figure it out, what the heck is going on?! What’s NOT so good: I didn’t like how it jumped back and forth in time. This doesn’t usually bother me but I didn’t ‘get’ it with this one. I also didn’t get some of the odd perspectives that were thrown in. I had many unresolved questions. Maybe it was me and not the book. FINAL THOUGHTS: It is a book that catches you and you don’t want to put it down. But it left me frustrated at the end and as time goes on, I like it less and less. I do think this will be a fun discussion for the Tournament — on that note, I’m very glad to have read this and eager for the conversation. MOTIVATION for READING: This Supreme Court Justice has always interested me. Everyone is raving about this book. WHAT’s it ABOUT: Apparently, and for perfectly wonderful reasons, RBG has captivated the hearts of many for her groundbreaking work in law and her thoughtful and sharp reasonings on cases appearing before the Highest Court. This short book tells a bit about her whole life – how she started and what she is doing now. It doesn’t go into much depth but just enough to get a sense for her character, her smarts, her sense of humor and her incredible work ethic. RATING: I rated it 5 pie slices because I truly enjoyed learning more about the background and work of this amazing woman. Why I read this now: Really? do you have to ask? So, no. I guess I won’t tell you anything. Cover links to goodreads. WHAT’s GOOD: Everything. The writing, the construction, the descriptions, the wry observations about life and stuff. What’s NOT so good: The audio was NOT that great. I realized when I switched to print that I missed a LOT, a TON! And I blame it on the narrators – there were three. I probably bear some of that burden, but I don’t claim it. It was the accents. Perhaps it was my prejudice on how I heard the voice – one of the guys just sounded ‘not right’ or ‘not too bright’, if that makes any sense. I apologize. Oh well. Avoid the audiobook, in my opinion. FINAL THOUGHTS: If you like a book that makes you laugh while you cry, this might do it for ya. RATING: Five slices of pie! Seriously, this may go down as a top 5 favorite over many years. 71% – ???? – I couldn’t find it. SO hard to bookmark an audio. Especially if driving a car responsibly. IF ANYONE HAS THIS AS eBOOK, please let me know! Thanks. What’s it ABOUT: The story obviously begins with a trial and a murder and probable marital strife; we also get to experience the trauma of the world between and of the two world wars. Here’s what happens and how it is setup: Diana is having a birthday and she invites a few of her favorite friends – mind you, these friends are not friends of the husband’s. Diana is a very interesting person and it is her husband who is murdered at that birthday party weekend. The year is 1925. THEN, we jump to the early 1990s and meet Diana’s great niece, Hannah, a single woman, and thus by default? * hard-working, rising-star attorney in London. Diana, referred to as “the Great Aunt”, dies in her 98th year. Hannah inherits the estate, or most of it –Diana has made a point to will lots and lots of money and goodies to all the females in the family. What? She was wealthy?! None of the family members are aware of her fortune and certainly not her past – the fact that she was acquitted of murder. To them, she was just a lovely old lady who tended her garden. It was crazy to think she was once a wild woman who experienced anything dramatic. They decide to find out what really happened. Just like Trish, I am not one to try and guess the whodunnits or even want to spot if any zany twists, forcing any unravelings of plot. I adored this story and how it unfolded! I was, as they say, on the edge of my seat and this was a wonderful way to temper my #SalemAlong reading of ‘Salem’s Lot. It’s not just the turns, the reveal and the various character studies; it was the analysis of marriage and independence. Of feminism and how women had/have to assert themselves, or not. Of careers and ambition, the balance of power. There is a lot here to admire – in the thoughts expressed and how the author presents all of it in the story. What’s GOOD/NOT so good? . . . SKIP . . . FINAL Thoughts: I think we will have a LOT to discuss at meeting and I am really hoping that this book charmed the others in club as much as I was charmed. RATING: There were zero pie mentions (and no lobster ones, either, I’m afraid) but I still give this FIVE slices. Let’s go with MINCE MEAT PIE since Mincemeat Pie Day is October 26. PLEASE SEEK OUT THIS BOOK AND TALK TO ME! FOR: My neighborhood book club. Meeting is first week of October 2015. What’s it ABOUT: I hate to assume but I do know many of my readers are familiar with Lisa Genova. She is the author of Still Alice, recently brought to film and hot in the latest Academy Awards race which culminated in a Best Actress win for Julianne Moore. I have yet to see the movie. Still Alice was Genova’s debut novel and I had the privilege to meet her at a book reading on Cape Cod in 2009. Shocked, I am, that it was that long ago! But not really, considering that THIS book, Inside the O’Briens, is Genova’s FOURTH book. She is on her way to being and remaining a celebrated author and I expect we will be entertained and educated on more neurological disorders in the future. 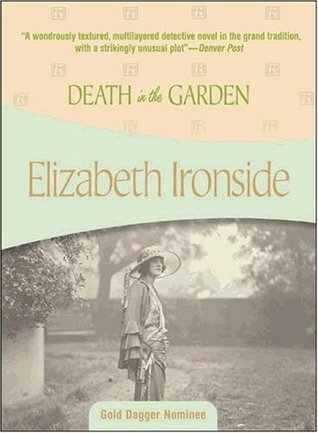 Yes, she has a genre; could be considered one of the best of the “disease fiction” novelists (the only one that comes to mind at the moment) — if that is a thing. (There are many shelves in goodreads pertaining to this theme.) In all of her books, Genova tackles an issue, usually based on a little known or rare neuropathology, and humanizes the situation extremely well. She brings it to life where we not only understand the problems, consider the heartaches, but also relate to the fear AND hope. Providing HOPE is especially difficult to do and she manages it somehow. She also reminds me to be compassionate and kind. Still Alice discusses Early Onset Alzheimers. Left Neglected showcases a disorder known a Left Neglect – in this one, the protagonist suffers a brain injury. Love Anthony tackles autism – this is the only book I have yet to read. All are set in Massachusetts. Inside the O’Briens brings awareness to the rare genetic Huntington’s Disorder (HD). We meet a Boston cop who lives in Charlestown MA and his family and friends. Yes, I cried. And yet I didn’t cry at the end. Maybe I was all cried out by then, but also, Genova leaves us with a plan to be hopeful and knowledgeable. In the epilogue, she provides an opportunity to support the research to find a cure. In my opinion, the most difficult part of these kinds of books is the balance between providing too much information about the disorder and describing what the people are feeling. I never felt that I was encountering an educational treatise (“Here is a scary fact, now go feel something.”). I never felt manipulated. All of it felt real and skillfully plotted and revealed. We not only learn about HD, we learn about what it is like to be a police officer in Boston. We learn about yoga, we learn about Charlestown. This author is excellent at creating that sense of place. It helps that I am familiar with this area but I don’t think anyone else who hasn’t visited Boston would feel any setting loss. She is that good. I have to admit that one of my slices of pie is for that skill Genova has to allow me into the lives of fictional people who seem totally real; I am inside fully developed characters and immersed into their thoughts and fears and dreams. This is a successful book. HAVE YOU READ A BOOK BY LISA GENOVA? DO YOU HAVE A FAVORITE? This might be mine. I liked Still Alice a bit more than Left Neglected. *NOTE* – I read Still Alice as a first book when joining a new book club and this will be the first book for a new club, too. I’m beginning to see a connection! It doesn’t take much for me to see connections… What it might mean, I have no clue. **SECOND NOTE** – I had a status update in goodreads for page 239 that mentions my concern with the last paragraph but I returned the book to the library. Here’s hoping that edition will be at the club meeting so I can refer to it.